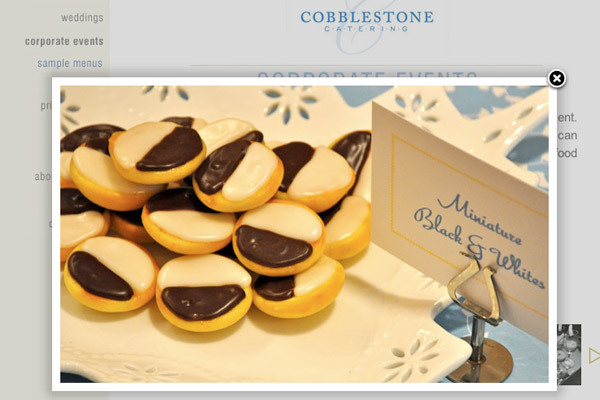 Cobblestone Foods, a local gourmet foods boutique and catering company in Cobble Hill, Brooklyn, needed to revamp their website. We took their existing design and made it more consistent across the board, assisted in reconfiguring the information architecture and added photo slideshows and SEO (Search Engine Optimization) techniques. 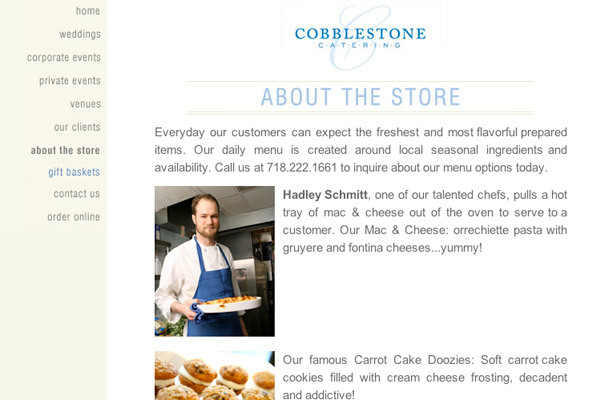 Cobblestone is a proud addition to our work with websites for restaurants and food-related establishments.